Chem-Dry of OKC/Edmond is one of the leading carpet cleaners in the Oklahoma City & Edmond, OK area. Our cleaning process is designed to give carpets a deeper, longer-lasting, healthier clean without the use of harsh chemicals or detergents. 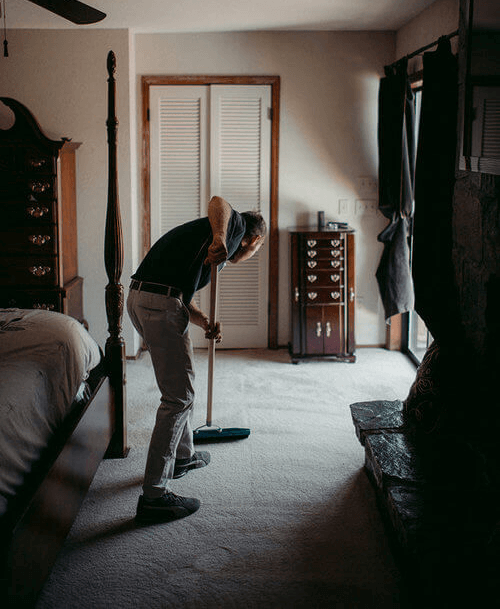 Using the natural cleaning properties of carbonation, Chem-Dry is able to lift the dirt from deep in your carpets to the surface where it can be whisked away, resulting in both a deeper clean and increased carpet life. 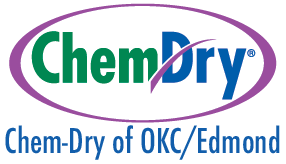 Trust Chem-Dry of OKC/Edmond to help you maintain a healthy home in Oklahoma City. With our patented Chem-Dry equipment and solutions, we clean deeper, but also gently. We remove smells and stains from deep within your carpets, not just what is on the surface. So you know your carpets are really clean! We clean your carpets and leave them fresh without soaking them with water or harsh chemicals. Most other cleaning methods soak water down into your carpet fibers and padding. Then, they expect suction to remove the massive amount of water, but a large amount always remains. This creates a breeding ground for mold, mildew and other bacteria that are harmful to your home and family. When you choose Chem-Dry of OKC/Edmond, your carpets dry in 1-2 hours, rather than the 1-2 days required by most carpet cleaning companies. “I got my carpets cleaned and Chem-Dry did an amazing job! Great service and very friendly! Thanks Tyrone for going above and beyond!” – Aileen E.
DRIER. Our process uses 80% less water than typical steam cleaning and carpets dry within hours, not days. This means you and your family can get back to being comfortable in your home sooner. CLEANER. Our primary carpet cleaning solution is carbonated and, just like club soda, penetrates deep into your carpet’s fibers. It lifts the dirt from deep within your carpets and brings it to the surface so it can be whisked away by our powerful extraction equipment. HEALTHIER. Chem-Dry uses a natural, green-certified cleaning solution and does not contain any harsh soaps or chemicals. It is completely safe and non-toxic for both your family and pets. Check out the rest of our current cleaning coupons here.